Sebastian Vettel (£18m) – Spa was not kind to either Ferrari or their German number one driver. Neither, apparently, were Pirelli as Vettel’s used rubber gave up the ghost so close to home. An unusually fierce (but, as always, honest) outburst from Vettel was enjoyed by both the maundering journalists and the viewers at home but, looking ahead to Monza, you wouldn’t count against the former World Champion to bounce straight back. At a cost of £18m, he may look expensive on paper but the reality is that his 14.89 points per million is second only to Hamilton in the over-£10m driver bracket and significantly better than a certain Finn’s 10.53 equivalent. Max Verstappen (£4m) – Frankly, I’ve had big reservations about the ability and temperament of this 17-year old (I have to constantly Google to check this is still actually true!) but I have to say that with almost every race since Monaco, Verstappen is impressing more and more. There was never a doubt about his pace and fearless attitude, best showcased by his pass on the outside of Blanchimont, but he is starting to pick his moment and convert those raw skills into mature, eyebrow-raising finishes. 108 points for a £4m is undoubtedly good value but, even more importantly, the Belgian-Dutch racer’s form going into the second-half is far more promising that the obvious alternatives, being the Sauber pairing and his own colleague, Sainz. You’ll have to wear your heart on your sleeve to back him but I don’t think Max would have it any other way. Force India (£12m) – I hinted last week at my love for the Force India team and my hope that they would have a strong second-half to 2015. Anyone spending even a little time on a ‘F1-themed’ Twitter trawl will appreciate how much interaction this outfit offers to Formula 1 fans. However, despite this, I simply can’t recommend that they form part of your fantasy line-up. Simply put, £12m is too steep and this is reflected in not only their relatively low haul of 4.08 points per million but also the fact that there are cheaper and better performing options which leaves you more on the credit card to spend elsewhere. As I touched on last week though, dismiss their drivers at your peril! 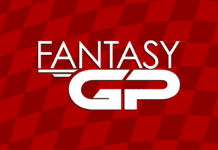 Other Tips – Hamilton delivered a huge physiological blow to Rosberg this time last year with on his way to victory after managing to force a big mistake from his title rival. However, both Mercedes will be keen to avoid more slow grid starts as the season nears crunch-time. Ferrari will be desperate for a good show and intriguing battle within Williams will be a side-note to follow as the veteran Massa continues to keep Bottas in the shade. Monza is the fastest circuit on the F1 calendar and is likely to be demanding on the tyres as under-fire Pirelli go for a surprising soft/medium combination to open up possibilities for differing strategies, especially amongst the middle-order. 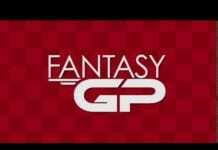 Meet the Fantasy GP Champions!